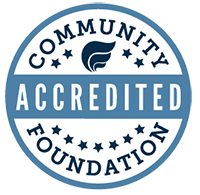 A bequest to the Community Foundation Middlesex County is a way of perpetuating a donor’s support to improve of the quality of life in Middlesex County. It also enables a donor to make a major gift that might not otherwise be possible. Through a bequest, a donor may leave to the Community Foundation a specific dollar amount, for example, ($10,000) or may reserve for the Community Foundation all or a specified percentage of the estate after making provisions for family members and other beneficiaries. The donor may stipulate whether the bequest is for the general support of the Community Foundation and its grantees or for a specific purpose or Fund. A bequest may also be made in honor or memory of another individual. When making or revising a will, a donor should obtain the assistance of an attorney. The staff of the Community Foundation of Middlesex County, Inc. will be pleased to work with you and your attorney. The following are suggested forms for making various types of bequests.